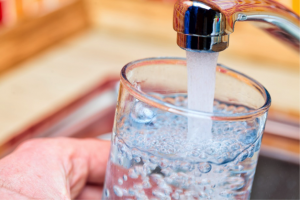 Can You Benefit from a Reverse Osmosis System in Glen Ellyn, Illinois? There is no shortage of water purification systems on the market today. Everything from water softeners, to chlorine injection systems, to iron removers can be used to condition and cleanse your water. If you’re looking for as pure of water as possible, you might be interested in a reverse osmosis system. These systems make use of membranes which filter out even the smallest contaminants in water. Wondering if you can benefit from a reverse osmosis system in Glen Ellyn, Illinois? Read on to learn more. One of the major perks of a reverse osmosis system is that, after it’s been installed, it’s exceedingly inexpensive to operate. Using only trace amounts of electricity, reverse osmosis systems put only a small dent in your energy bill. In most cases, a reverse osmosis system will cost you only a few cents per gallon of water. Not to mention, because these systems produce bottled water-quality water, you will have no reason to spend extra funds on bottled water. You will be saving money on all fronts. Though they’re available in all different sizes, the vast majority of reverse osmosis systems take up only small amounts of space. This is especially true if you’re getting one which is only to be used in one room (i.e. your kitchen). For many, it’s possible to get by with a system which fits right underneath the kitchen sink. If this is the case for you, you’ll hardly notice that it’s there. However, it’s also possible to install a reverse osmosis system to accommodate your entire water supply. It’s important to note that, if this is the case, the system will take up a great deal more space. If you’re looking for the purest, and least contaminated water possible, you can obtain that water through the use of a reverse osmosis system. These systems undergo 5 to 7 different levels of filtration, filtering out different sized particles every step of the way. Whereas the first step involves filtering out large particles such as dust and dirt, the last step involves filtering out microscopic particles such as arsenic and bacteria. Unfortunately, these systems also filter out good and needed minerals such as calcium and magnesium. Fortunately, you can find add these minerals somewhere else in your diet. One last benefit of reverse osmosis systems is that they’re exceedingly easy to maintain and take care of. Unless something goes wrong, you’ll only have to pay attention to your system every half a year or so. On these occasions, a filter change will be needed. Generally, these filters are affordable and easy to replace. The less you use your system, the less you’ll have to maintain it. Those who use their system on a regular basis will probably have to change filters every 6 months. Those who use it only sporadically can typically wait between 8 months and a year until a change is required. Seeking Out a Reverse Osmosis System in Glen Ellyn? Are you ready to take advantage of a reverse osmosis system in Glen Ellyn? If so, we here at Johnson Water Company are the people to see. We’ve been serving the Glen Ellyn area since the first half of the 20th century, providing impeccable service every step of the way. Whether you own a home or a business, we can cleanse your water supply with a fully functional reverse osmosis system.